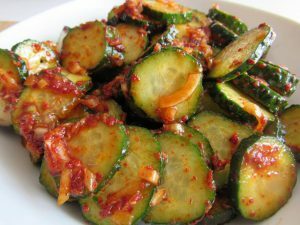 This is one of my favorite recipes in Korean cuisine. It’s fast and delicious. I have seen many versions of this dish, but this one I love the most. 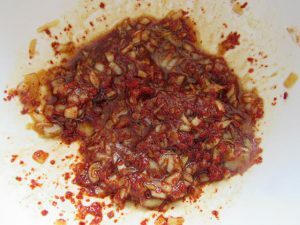 The composition of the dressing is almost the same as the kimchi marinade. 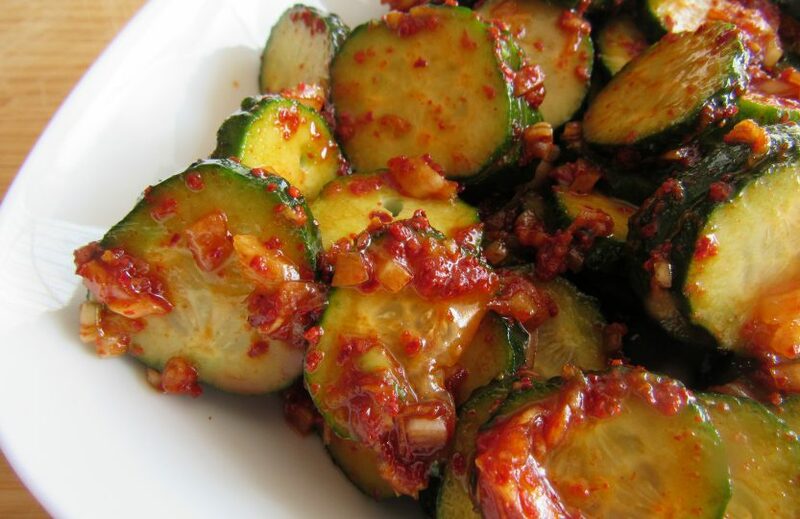 I’m addicted to this fantastic spicy salad. Gochugar flakes are the key in this recipe. 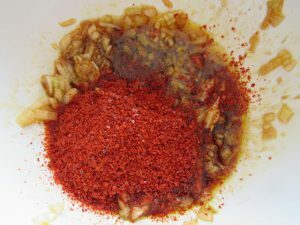 Thanks to this, the dish has a beautiful red hue, which is not obtained with ordinary ground paprika. If someone does not have it, of course, you can use a regular hot pepper. I suggest starting with adding a smaller amount, because the salad may turn out to be too spicy. 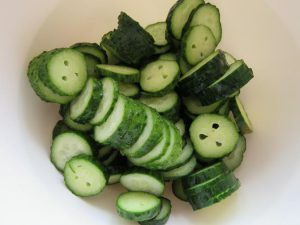 1.Cut the cucumbers into thick slices. 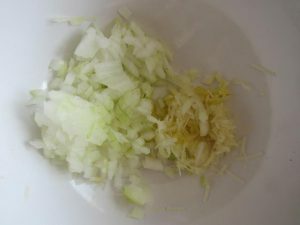 2.Mix onion, garlic ang ginger together. 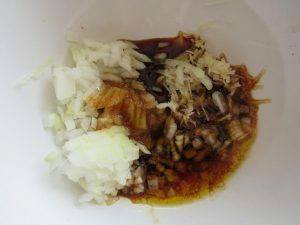 Add soy sauce, sesame oil, sugar and gochugaru. 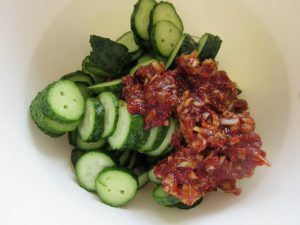 3.Mix the cucumbers thoroughly with dressing. Next PostGLEN CHECK – my new musical experience!